Get the added glitz and glamour wearing the Marchesa™ Filagree Bangle Bracelet. Gold-tone plated brass metal bracelet with glass crystal encrusted filigree detail. Brand name engraved an inner band. 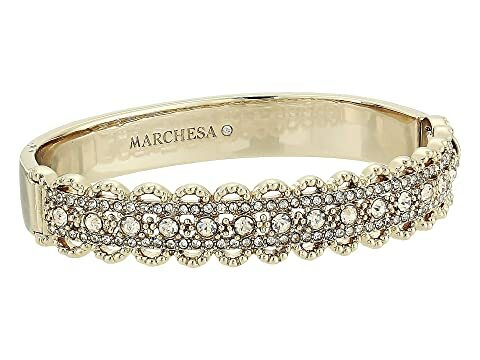 We can't currently find any similar items for the Filagree Bangle Bracelet by Marchesa. Sorry!